Note from Nick: This post is long. Like almost 4,000 words long. If you don’t want to read the whole thing on the blog, I’ve prepared a (FREE) downloadable report instead… just scroll down to grab it! And while I was, technically, correct (the book was, after all, finished), I wasn’t even close to being able to launch it into the world. As you know, finishing a book isn’t the same thing as launching a book. One is a singular, independent activity that takes nothing more than dedicated consistency and a few good ideas. The other takes much more planning, administration, organization, and careful oversight. It also takes a lot of work. Many writers (myself included, at the first few times out of the gate) think that “The End” is literally the end of their book-creation process — it’s the culmination of months, even years, of hard work. The problem is that if you’re writing to support yourself, or even just want to make a little money on the side, you need to be putting just as much — if not more — work into promoting your book(s) when they’re finished. And that promotional work doesn’t start when you’re done writing: to properly launch a book, you should be thinking about your marketing plan and strategy long before the last chapter. …This post should be helpful. Read on, and market the crap out of your book. Why shouldn’t you just launch your book without a marketing plan? You shouldn’t “release” your book into the world until you’ve at least gone through this checklist — or a checklist, for that matter. Basically, make a checklist of things you want to do during your marketing campaign, and stick to it. This list is based on my own background in marketing, a few years of writing books, and a few successful book launches under my belt. Marketing is fun. You won’t have as much fun. With the (possible) exception of the last item, these are all very real reasons why you should consider an in-depth marketing plan for your upcoming book launch. Keep reading to discover how you can write, prepare, and launch your marketing plan effectively! Put simply, a “marketing plan” is just a guide — or checklist — to walk you through each stage of a book launch. This plan is meant to keep you focused on the end goal: getting your book into as many people’s hands as possible. In business, a marketing plan is a large, comprehensive (and usually pretty convoluted) document that states the overall goals, mission, and strategic plans to capture a certain market share in the industry. For our purposes, we’re going to focus on creating a plan that’s simple to use, easy to understand, and focuses on getting you to take action. Since we’re going for a marketing checklist rather than a full-fledged plan, we won’t worry too much about the Mission, Values, Vision, and other “business”-y verbiage. Our marketing plan will be lean, mean, and right to the point. And it will be in checklist form, so you won’t have to wade through a ton of text to get the meat of the message. You’ll be able to move things around, add or delete steps, and generally make it your own (and you should!). Your marketing plan needs to represent your book, so don’t just take what I’ve done and copy it directly. While I certainly don’t mind if you do, it’s not going to serve you as well as if you take the time to analyze your own strengths, needs, and expectations, and then rework the plan to fit your book. Alright, enough small talk. Let’s write a marketing plan. In-book. What are you doing to invite readers to check out your blog, sign up for your mailing list, and stay in touch? Your in-book marketing is as important as writing it, and it’s really easy to include links and enhanced media elements in pretty much any ebook these days. Website. You should have a great plan for your own website/platform (you do have a platform, right?). Things like how you’re capturing leads, sending people to your Amazon sales page (and other sales pages), and keeping up the lines of communication with your current subscribers. External Marketing. Anything that doesn’t fall into the latter two categories probably fits here, and this section is probably also the biggest. Most of your work will be done marketing your book on external blogs, websites, and through ads. Finally, your marketing plan needs one important thing to succeed: careful, purposeful thought and planning. Without it, you’re doing what’s called the “shotgun” approach. It’s random, arbitrary, and it’s almost guaranteed to fail. Try building a marketing starting with this checklist and see where it goes. If you run into trouble, just leave a comment below and I’ll respond! Let’s look at what a marketing plan might look like for my own book, The Golden Crystal, scheduled to be released soon. So, without further ado, here’s my work-in-progress marketing plan (checklist style) for The Golden Crystal. I’ve outlined the individual components of my actual marketing plan, then discussed them below. Description:The Golden Crystal is a work of fiction in the thriller/adventure genre, and has been referred to as a work of “crossover” fiction, blending elements of the traditional genre thriller as well as science fiction. What genre/market will you promote to? What else is unique/special about your product? Answer these questions in one or two sentences — keep it concise. Remember, this marketing plan is for you, not a huge corporation! Purpose: The book is intended to be fun to read and provide entertainment value. The purpose of this marketing plan is to detail an action-oriented plan to launch the book into the marketplace, generate sales, and find ideal readers. A secondary purpose of this plan is to generate leads by way of the LiveHacked.com mailing list, through in-book and blog post signup invitations. Get readers on my mailing list. There’s really not much more to it than that — you can choose different purposes (“give the book away for free to as many readers as possible,” “submit the book to as many book awards as possible,” etc. ), but you need to write down why you’re marketing the book in the first place. Having this specific purpose helps you stay focused and understand which channels/avenues you should be using to market your book. Target Market: The Golden Crystal‘s ideal reader is male, between the ages of 35 and 65, who travels often and wants a “quick read” for trips. The ideal reader is someone who enjoys action, fast-paced dramatic elements of suspense, and watches movies and television shows similar to National Treasure, Heroes, Person of Interest, and other “Hollywood”-style pictures. Your target market is literally just describing this idea of your “ideal reader.” An ideal reader is a description of a person (yes, it needs to be one person!) who would absolutely love your book. You don’t need focus groups, surveys, or anything else to create a description of your ideal reader. Here’s a little secret: The best way to create an “ideal reader” description is to start with yourself. That’s right: describe yourself, even if it’s a slightly different vision of yourself. For The Golden Crystal, I’ve been told it’s a great example of an “airport book” — the kind of stuff you grab last minute on your way out of town. While that might not be the best interpretation of “writing a great book,” it’s still the ideal that inspired me to write the book in the first place. Reaching Target Market (Overview): The Golden Crystal will be released first on Amazon.com in ebook (Kindle) form at a low introductory price. Leading up to the launch date (TBD), the author will send free copies of the book to “beta readers,” in exchange for an honest (yet not obligatory) Amazon review. Advertisements on book websites and review sites will be purchased to drive initial traffic, and the author will “blog tour” (guest post on numerous blogs) during the first two weeks after launch. The first “Kindle promo” of 5 free days will begin during the third week after launch, and advertisements at BookBub.com and BookGorilla.com will be purchased to drive traffic to the “free” sale. Ongoing marketing will include (but is not limited to) free promotions via KDP Select, social media mentions, giveaways via blog tours, and additional advertisement purchases to drive strategic traffic. The above paragraphs are just an overview of what the marketing plan will include. When you mention “advertisements,” you’ll give a detailed, step-by-step plan for when, where, and for how much money you’ll purchase those advertisements. Again, this section is just going to help clarify your thoughts and streamline the rest of the plan. 1. Advertisements: Advertising will be procured via the following websites: BookBub, KindleBoards, Goodreads, and BookGorilla. The budget for these ads is $600 (subject to change) over a 30-day period. The advertisements will send traffic to 1. The Amazon sales page for the initial book launch, and 2. The Amazon sales page for the “free promo” days. The advertisements will be a book description and front cover image. 2. Blog Tour: The author will write and submit requests to post articles on relevant blogs, focused on helping authors write, edit, promote, and finish their books. These posts will mention The Golden Crystal and link to the Amazon sales page, but will not be overtly focused on selling. The author will prepare and write 30 posts for this purpose, and will attempt to publish at least 20 on relevant blogs. The author will try to schedule the blog post “go-live” dates for the first week after the launch date. 4. Interviews: The author will seek out at least 20 interview opportunities both on podcasts (audio) and on blogs (written). 20 questions and answers will be pre-written, but the author will of course request that additional/alternative questions be asked. These interviews will focus on the subject of writing, including craft, style, planning, outlining, marketing, and promotion. The author will try to schedule the interview “go-live” dates for the third week after the launch date. 5. In-Person Appearances: The author will seek out local bookstores and shops in the Denver, Colorado Springs, and Pueblo metropolitan areas, and will plan to schedule book signings and meet-ups one month after launch, to coincide with the release of the hardcover and paperback versions of The Golden Crystal. Any hard-copy books sold in this way will include at least a bookmark, and possibly a printed postcard as well. *Read this for more information on using social media well: The Ultimate Guide to Social Media for Writers. Promoting your book needs to happen in two general ways: externally and internally. I define “external” promotion as promotion and advertising that exists outside your direct spectrum of influence. For this reason, advertising and blog tours are probably something you should explore — it’s pretty difficult to convince people outside your close circles to mention your book and how awesome it is without their having read it before! 6. Mailing List: LiveHacked.com maintains an email list of ~4,500 people, and mentions of The Golden Crystal and a small cover image will be placed at the bottom of emailings. These mentions will begin during launch week and continue throughout the first two months (at least) after the launch date. 7. LiveHacked.com: LiveHacked.com is a blog focused on providing writers with marketing, promotion, and sales help. Prior to launch week, the blog will mention The Golden Crystal and where it will be available. Three to four weeks after launch week, LiveHacked.com will host a giveaway for two copies of The Golden Crystal in hardcover or paperback format. This giveaway will be hosted and managed by RaffleCopter.com. 8. Facebook: The author will post announcements, updates, and release/launch information on their personal Facebook page and the author page. These announcements will focus on keeping the author’s close friends and family up to date with The Golden Crystal. 9. Word-of-Mouth: The author will ask friends and family to post links to The Golden Crystal on Facebook, Twitter, and other social media feeds, and will request that if they are going to buy the book, that they all purchase on launch day (to drive additional “early-bird” sales). 10. Writing Courses Mentions: The author is currently writing, preparing, and recording a writing course to be released on Udemy.com that will be an extension of the free Fiction Writer’s Guide to Writing Fiction. Both courses use The Golden Crystal as examples of learning experiences, and these links will forward to the Amazon sales page for the book. My list of external and internal marketing tactics is not exhaustive — there might be things I want to do that I’ve forgotten, and things on the list that I don’t want to do. The point is to write it down, though. By having this list of specific, actionable tactics, you can then see the “big picture” of what your marketing plan will look like, and when you should start preparing everything. The last thing you’ll need to do is write the schedule of everything above. The to-do list is great for getting through each week, but the calendar is a visual aid, giving you a “bird’s-eye view” of what you’re accomplishing. I like a simple iCal interface, but I’ve also used a dry erase whiteboard calendar before. Your choice. Write down everything you can — blog posts going live, interviews, podcast interviews you’ll need to show up for, promos/ad days, launch week, etc. Everything. Also, write down your “non-marketing” days. You still have a life — don’t let this plan consume you. Schedule alone/free time, time with the spouse/significant other, kids, family, and friends. Also, if you’re like me, you’ve got a separate full-time job that has its demands as well. Don’t panic — just know your bandwidth and limits. Consider bumping the launch week back a few weeks, or expanding it to a two-week launch to meet your needs. This section of The Golden Crystal‘s marketing plan isn’t filled out just yet because I’m not quite ready to announce an actual date — but stay tuned. However, I’ll include something in the downloadable materials to help you out (see below). YESSSSS! We just wrote an entire marketing plan! Well that’s quite a marketing plan — but it’s concise, step-by-step, and leaves the guessing out of it. It’s not perfect, nor is it a guaranteed victory but again — it’s actionable, usable, and helps me focus on executing the plan flawlessly. Whenever people market, build, launch, or create something according to plan, things will go differently than expected. That’s okay — it’s still going to end up better than just “shotgunning” your launch with no plan or a lackadaisical attitude (“well, I’ll just see what happens…”). A certain part of me wants something in this plan to fail miserably so I can analyze it, tweak it, fix it, and do it again. One final note: your marketing will look different. You might have a smaller budget for ads (or a larger one!) and can thus increase or decrease the other tactics accordingly. Or, you might have a completely different market (“moms looking for safe teen YA fiction,” “elderly couples interested in fantasy roleplaying-type fiction,” or whatever). That’s fine — you know more about those markets than I do, so just change what you need and go from there. The point is, of course, to plan. It really doesn’t matter what you plan, as long as you plan something and stick to it. The second time, third, fourth, and on will allow you to tweak and change what didn’t work and increase/improve what did. The first time out of the starting gate, just do something. Lastly: Download the Plan + Worksheet for FREE! I’ve prepared this blog post, a PDF worksheet, and the final example of my personal marketing plan for The Golden Crystal with calendars and to-do lists. Finally, I’ll include whatever blank templates I’ve created to work from. To get it, just subscribe to the newsletter. Once you confirm, you’ll be redirected to a page to download the material! I want to be available for questions you might have regarding all of this, so as usual, leave a comment on this post if you need anything. You could also email me directly! Nice work Nick. I’m trying to go the tradional route at the moment, but developing a marketing plan for self publishing as well. This will be a great resource and save probably hundreds of hours of research. Thank you! Thanks, Michael! I’ve never been through a traditional deal, but I have heard that as far as marketing is concerned, having your own marketing plan still might be ideal. Besides, all of the stuff I’m mentioning in the plan can coexist with anything you’ll get from a Big 6 group — it shouldn’t get in their way at all! Everyone who had gone on the traditional route says that publishers do ZERO marketing unless you’re a celabtrity or the publishing house is absolutely convinced your book will sell. So even with a name from the big 6 group behind you, the marketing is only yours. That’s why a lot of people opted the indie route. Publishers get you only in bookstores and even that is not certain. I’ll definately download after work your guide and give it a try. You sound like a pretty down to earth guy with knowledge and experience. That’s what I’ve heard, too. A little extra marketing NEVER hurts, IMO! This is fantastic! Very much what I’ve been looking for, as I plan on going the self-pub route. The timeline and info you’ve provided will definitely help me plan. Thank you, for giving this to us. Thanks Jessica! Glad it’ll be helpful for you! A marketing plan is essential, I find. It took me 4 books to figure that out! Now, a few days away from finishing my fifth manuscript (and my favourite so far), I have decided I won’t let its emergence into the light be as stealthy as the others. I want to see it shine. I mean, I seriously need to see that happen. So I’ll do everything I can to achieve that. Your marketing plan comes at the right time. I dare say I might have to adapt some aspects, but this is certainly a valuable tool. Thank you for making it available. Please do adapt — marketing can never be a “one size fits all.” good luck and let me know how I can help! Thanks for sharing this, Nick! It’s always interesting to glean from other authors’ marketing plans. Your approach is very similar to what I’ve done with my last three book launches, but I picked up a few new ideas to try on the next one. All the best with The Golden Crystal’s debut. I’ll be sharing this with my followers. Thanks, K.M.! Nice to see you around here — keep up the great work on your site! Thanks for the copies of your marketing plan. Will try and give it a go with the release of my next book later in the year. Excellent plan – as a reviewer, I’d make one suggestion: schedule reviewers earlier than six weeks before launch date. I’m usually scheduling reviews three months in the future (and I’ve currently got such a hug backlog I’m not accepting any new requests until November). If you request a slot less than three months out, I have to bump someone else’s book to get yours in. That’s not fair. If we’ve agreed a review slot, it’s fine if you don’t send the book immediately, as long as I know when to expect it and still get it at least four weeks before launch date. Love it — very insightful. I’ve never been an “official” reviewer in that capacity, so this is awesome advice. Thanks, Lola! Thanks, Gloria — send me an email if it doesn’t come through, and I’ll forward it over! Hi Nick, thanks for this really comprehensive guide. I’m interested that you defined the target market as yourself. Did you extend your initial target description at all during your marketing efforts? And do you refer back to it every time you try a new tactic? So to clarify, you don’t recommend setting up an amazon page for pre-order so that all your sales are condensed into the first week so that you will move up the rankings faster? Also, any advice on obtaining beta readers if you don’t already have an audience of loyal readers who would volunteer to be beta readers? In that instance, should you just use friends and personal contacts? Welllllll it really depends. I guess it wasn’t that bad after all, just seemed like too much work for too little gain… It was kinda cool to see it with the “pre-order” option, something that “regular” indie authors can’t do. As for the beta readers, check out Story Cartel and BookCatapult.com (still being built). Hi Nick, thanks for a great article! I’ll be publishing my first book with CS in October, and will definitely follow your advice. I wanted to download the Marketing Plan and Worksheet but couldn’t find the link. It’s a come-on. First you have to subscribe to a newsletter or something. AFTER you confirm that, they’ll send you the link for the Marketing Plan. No thanks. I HATE bait-and-switch schemes of all kinds. Some people are too hard to please. I didnt have to “do” anything. I used the post itself. Copied and pasted it into word and input my own details. Reading is fundamental…. and some people ARE too hard to please. Great Work Nick! Oh, and I forgot to mention — you just commented on the 4,000-word marketing plan itself. The whole post IS the download! Hi Gabrielle! It’s available as a download sent out through the first newsletter after signup (so it’s trackable — a core component of good marketing! ), but if you don’t want to subscribe just send me an email and I’ll shoot it over to you! Very interesting. I would say I wish I’d known some of this before I launched my own indie book, but it’s a poetry book and so some of it won’t work quite that way. And I don’t have an ebook version out so I guess I could do a launch for that. Anyway, thanks for the info, I shall share it on my blog, The LIna Lamont Fan Club (which is not about Lina Lamont. That was interesting and worthwhile, got some good ideas. Good Luck on your launch, from Martin Bueno author of the Science Fiction Fantasy novel, the Rainbow Alchemist. Thanks so much for your marketing plan, it comes at the right time. And SO simple and clear. Helps ALOT. I would love to launch the ebook first week December – with the physical book coming out in March 2014 (Miriam’s Secret coincides with the Hebrew calendar – and Passover – crossing of the Seas). I’d like to have a version ready for holidays. WIth what Lola wrote re: reviews needing 3 months advance (and I;ve got less than two months, am I setting myself up for self sabotage ;)? Book is in last editing phase. Would love to hear yours and others experience. No problem, Eliana! Glad you liked it! I think the premise here is that it’s never too early to start. You could certainly whip up something marketing-wise in a day, but it wouldn’t be as good as two, three, four days, etc. One month of planning probably won’t be as great as two, and on. Does that make sense? Nope — never worked with in-app marketing (I’m assuming that’s what you meant?). I’m guessing it’d be great for marketing other apps, but not sure about books… let me know how it goes! Your comments are brilliant and full of humor too. I am happy to add you to my contacts and appreciate the time and expertise you have shared. I work with authors and speakers. Building a brand doesn’t have to be painful and having a plan is vital to staying on track and out of overwhelm. I posted today about the value of a marketing system, http://yourmarketingalmanac.com/marketing-magic/ Thanks again for sharing this great resource. Awesome plan building guide. Exactly what I needed. Thanks a bunch! I would be very interested in interviewing you about marketing and publishing for my radio show and podcast. You can check it out here: http://www.thirdiradio.com. Great! Sounds good — just send me an email! 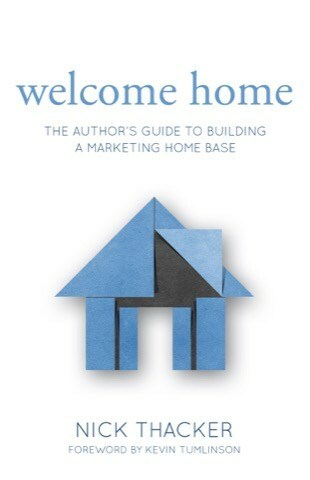 Thanks for a great marketing guide. About to e pub my first book (The Seventh Sentinel) and had no idea how to market. Supposed to come out for Christmas, but am thinking maybe i should delay it and get marketing Am also looking at Scrivener, thanks for that. Will check out your books too. Thanks Yolanda! Let me know how the book goes, and if you have questions! I am Jassie,an indie author working on her second e-book.I totally loved this post of your’s and was contemplating on interviewing you for my new blog on Tumblr which is all about creative writing.Would you be interested?If so,i will truly appreciate it if you could reply to me at jsulaima@gmail.com. Hi Jassie! Sorry I missed this comment — feel free to send me an email, I’d be happy to interview! Sorry for the extreme delay in replying.May I know how I can contact you for the interview?? Thank you for this helpful information and the template. This is great! Do you have any tips or references for how to reach out to bloggers, publications, media sites in general to get coverage of the book? What kind of verbiage to use, how to get your email or phone call noticed, how to follow up without being annoying, etc…? I haven’t done a lot of PR, as I’m not versed in those types of publications and how to approach them, but I have run guest posting campaigns to generate reader interest in a new release — all of that is covered in the marketing plan! I didn’t get the download. Help? I didn’t get the download either. Great information and just what I need to help jumpstart my plans to improve my marketing for my current book (Traveling Left of Center and Other Stories) and my WIP! Loved this! ..and you are hilarious, Thx! WOW! This is an Awesome-Bullistic-Formula of self published book marketing plan. ILOVEIT! This is and Awesome Article about Book Self Publishing. Loved It. Great advice, thanks for a sharing good article. Urgent 🙂 Please let me sign up for the newsletter and get the pdfs and checklists. I need for tomorrow! Not sure where to sign up for the newsletter. I am organizing an informal get together for local writers to look at their marketing/promotion plans and meet weekly. There is no financial benefit to me, it is volunteer…and to help me keep on track with my own promotion goals. Thanks for sharing your good knowledge with daydreamers to reach up there one day a large audience and tell their story. We all have one — our own, which we hope one day would be heard. My best wishes to you Nick. I am retiring (81) and have 15++ current 2016 just updated editions of my successful books for the general public. Older editions sold over 8 million copies (145 million in retail sales) on radio, TV, Infomercials, QVC, HSN, Oprah, Reader’s Digest, etc. None sold in last 10+ years except for bug book in 2013 Telebrands (10 million in retail sales). Need to partner or prefer to sell all rights. Millions can be made on Kindle or ?. For list of books (food secrets, household hints, kid’s science book, cookbook, chef’s secrets, gardening secrets, getting rid of bugs and critters, etc.) email me. All natural, green books. No foreign rights ever sold. All 100% unique books. I’m a student of junior year. I’m worried about environmental protection and World Ecology in general. After I read this post about professional research paper assistance. I’d decided to work with expert and write my own research paper. I want more and more people to become aware about environmental problems! Peace! Thanks for this great website. Many great resources. I can’t find where to subscribe to the newsletter. I’d like to get the PDF and checklists. Please help! Thank you. I simply want to mention I’m all new to blogging and site-building and absolutely loved your blog. Most likely I’m want to bookmark your blog . You amazingly come with really good posts. Thank you for sharing with us your web-site. Please let me know if you’re looking for a author for your blog. You have some really good articles and I think I would be a good asset. If you ever want to take some of the load off, I’d love to write some content for your blog in exchange for a link back to mine. Please shoot me an email if interested. Regards! Just wish to say your article is as astounding. The clarity on your post is just great and i could suppose you’re an expert on this subject. Well together with your permission allow me to grasp your feed to stay up to date with impending post. Thank you 1,000,000 and please continue the rewarding work. Hi! I understand this is kind of off-topic but I needed to ask. Does building a well-established blog like yours require a massive amount work? I’m brand new to operating a blog however I do write in my journal on a daily basis. I’d like to start a blog so I will be able to share my personal experience and views online. Please let me know if you have any kind of ideas or tips for brand new aspiring blog owners. Thankyou! given sea level forecasts from 2005-2100’s mixture are exhibiting proof of the sea level growing. Where can I find your workbook and downloaded info? I’d love to subscribe and get the free PDF but there’s no subscribe link! So frustration. Is this an abandoned page? Please advise. Thank you. This was very timely as it came just in time for our new product launch. It was good to get confirmation with what we believe. My main interest is making music, but I contemplated making a lyrics book as part of the album and thats how I ended up here. What is interesting is the pre-release, release and post-release is very similar to music, I discovered a new idea here and that is to give music to reviews before I release the music so they have a review ready for release. Thanks for the info. How do I receive the list of marketing tools? I had problems finding the mailing list subscribe-button as well. You have to go to Blog in the top menu, then you’ll get a subscribe-button in the middle of the first photo on the Blog page. topic. You realize a whole lot its almost hard to argue with you (not that I personally would want to…HaHa). has been written about for a long time. Wonderful stuff, just excellent! Where can I subscribe to the newsletter to download the checklist? Thank you! Hi! Please send me a link to download your Marketing Plan and Spreadsheet. I’m a first-time indie author and have no clue what to do next. My book is going to print in about a month. Thanks for your help! Please send me the free marketing plan book. Thanks. Hello! I would like to be signed up for your newsletter. Also, would you please send me the pdf version of this? Thank you so much! This blog post was very beneficial. I have a poem book coming out that should launch in the middle to late November if anything stays on schedule. I have been stressing out trying to come up with an easy but effective marketing plan strategy this is indeed a blessing thank you for the insight. Wow, thanks for this! A little less daunting now, and I love that you included that we should schedule says *not* to do book work. It’s all about that balance! But wait, how do I subscribe for the templates and marketing plans? I am interested in the checklist. I truly wanted to compose a simple message so as to say thanks to you for some of the stunning hints you are giving out on this website. My time intensive internet search has at the end of the day been recognized with high-quality facts and techniques to talk about with my great friends. I ‘d point out that most of us website visitors actually are very much blessed to be in a wonderful site with so many special people with beneficial concepts. I feel pretty grateful to have used your entire site and look forward to many more amazing moments reading here. Thank you once again for a lot of things.